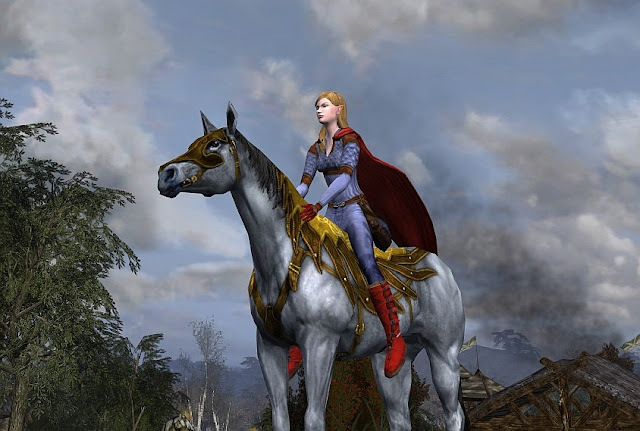 Supergirl of Lorien: Less math, more ponies! Alrighty. That last post was a lot of numbers. Let’s change pace. Less math, more ponies! Since it was my birthday recently, I got a new steed or two. 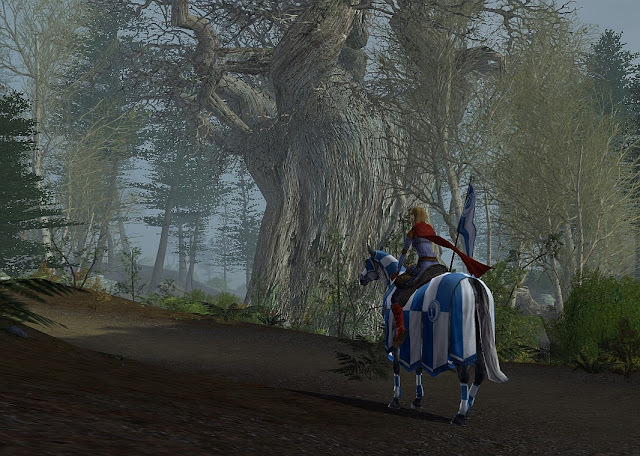 Not that I needed a reason to get a steed… just waking up in middle earth is a good reason to go new steed hunting! Here are a few of my recent ones and a few steed pictures I liked. Here is the Nimble Black Goat. It was the one I got on my birthday. 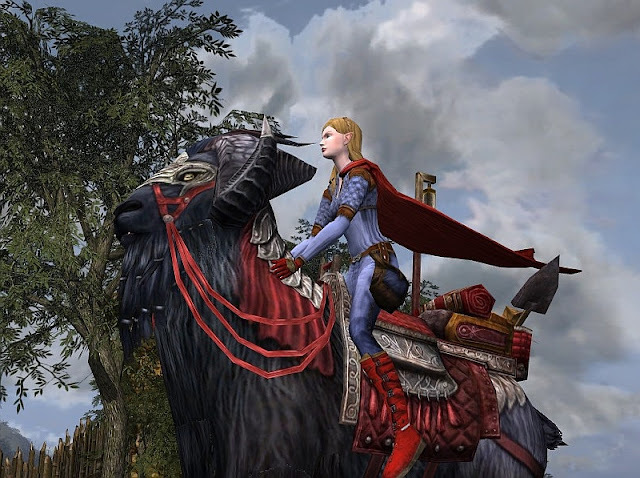 Named Firefoot, this goat is obtained by finishing all deeds in Moria. Those darn kergrims of Skumfil for slayer-deed were the last hold-out. I started that Moria deed journey at level 60 on February 3, 2011 when I joined a group to enter the Dark Delvings. Derffel, Behni, Tineytim, Augustuss, & Nimitar were there. I think I was supposed to be healing as I was the only healer of the six. Having never healed a group before nor understood the healer traits, skills, or LIs, I can only imagine that I was dead weight in that group. April 6, 2012 saw the end of that deed journey as Macrez, Pengladir, Assmunahi and I overpowered and prevailed in Skumfil. Malledhrim steed. The next day, I went back to Mirkwood and soloed enough repeatables to finally get my Malledhrim steed. It takes 20 Malledhrim gold stars. (I think the repeatables out of Thangulhad and Taur Morvith give 3 gold stars, 25 silver tokens daily... and 25 silver can be traded for 1 gold star). 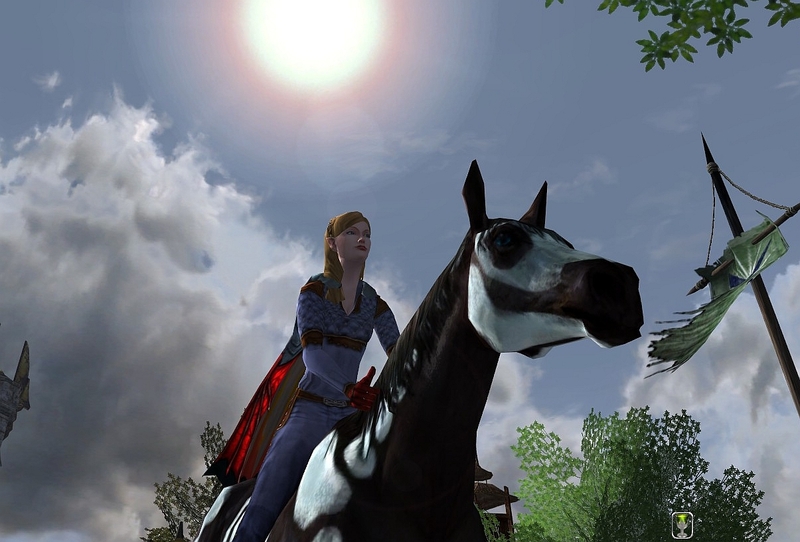 The Malledhrim also have the Smokey Black steed at the same barter price. There are two steeds available from Stangard. I bartered for the Limlight one, shown here. I will need to go back for the other Stangard one soon. Each barters for 20 gold Anduin tokens. 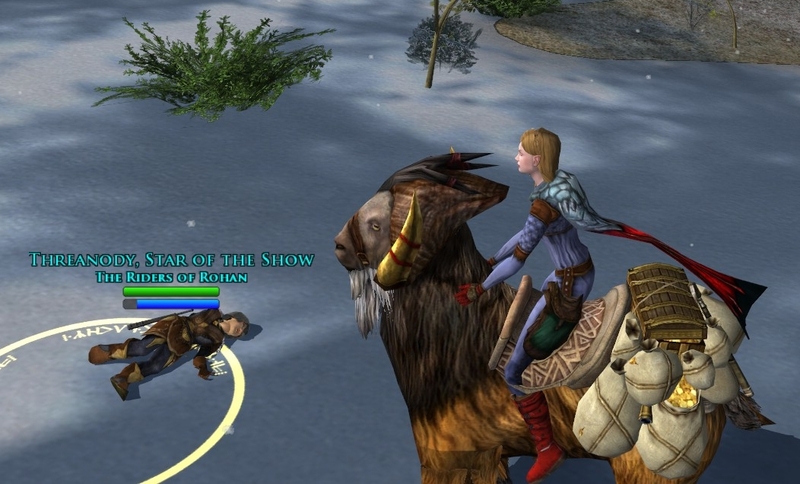 Repeatable quests for gaining gold tokens are... 4 solo quests: 2 in Brownlands, 1 in Rushgore, 1 in the bog east of Rushgore (the queen bug), and 3 fellowship quests in Limlight: 2 at Wailing Hills (spiders and trolls), and 1 to the far west from the ents (tree chopping). Treasure hunting Goat! I totally need to do a post on the treasure hunt. The lil danas and I had a ball of fun! Of the three steeds obtainable during the treasure hunt, I got only one, this goat. Danadelion got all three; if you let her, she will tell you all about how she is the "hunt-master". Threanody, who I believe may have hunted at least as much as I did, appears to have fainted from the non-stop digging. Skeleton Painted steed. After two fall festivals of visiting the haunted burrow, and with all danas searching for nearly 200 visits to the "secret chest" to look for the special skelehorse, I bought this one. Sometimes, when other options run out, you make your own luck. (This link was the first time I had seen it in 2011.... skelehorse post). Cremello and Green Painted. Here is a shot of MW and I on the Cremello and the green painted steeds. I like the picture. :) (This link was the day I got my Cremello steed... Cremello post). Hunter steed. I don't usually pass up a steed if i can help it. Here is the hunter steed. I dressed for the occasion to go riding in Dunland. 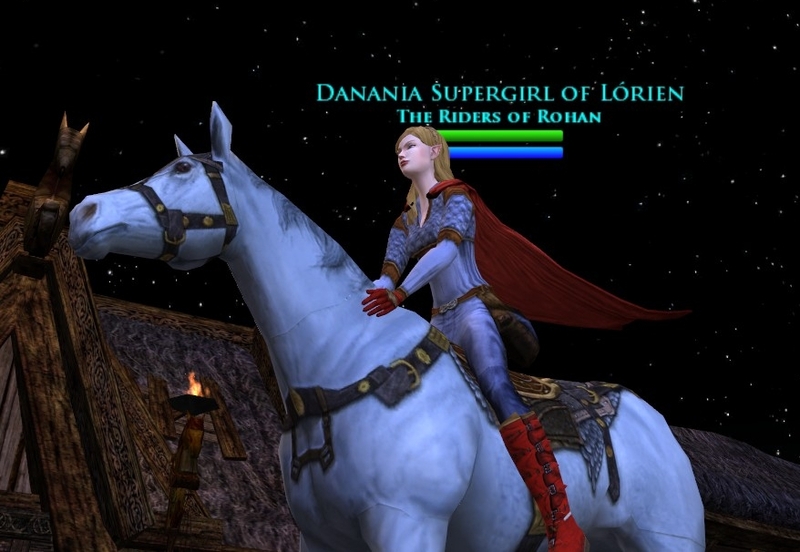 The outfit is the green Rohirrim outfit. It is hard for my to say that I have a favorite steed. 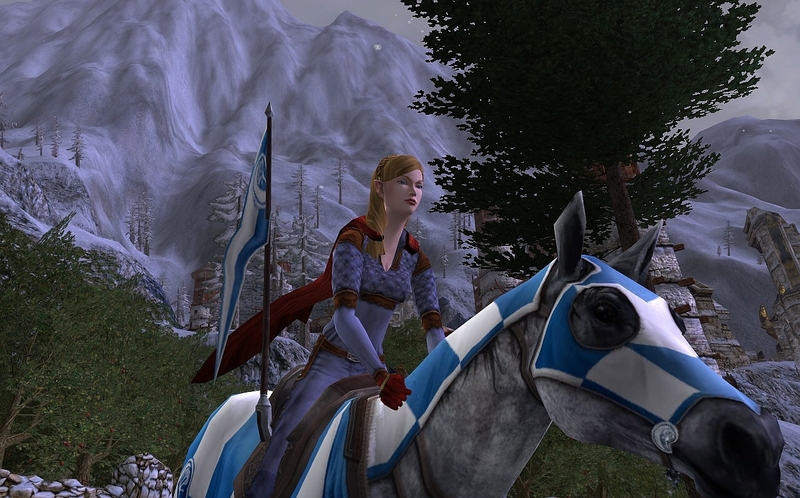 However, my "go-to" steed is the Steed of Minas Ithil. Here is MI and me going into a random scary forest. No idea where that is, but it looked pretty and creepy. 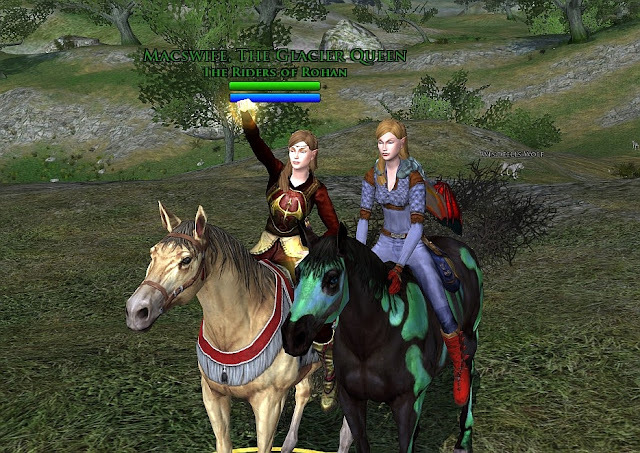 And a closeup of us riding around north Dunland somewhere. Charge! 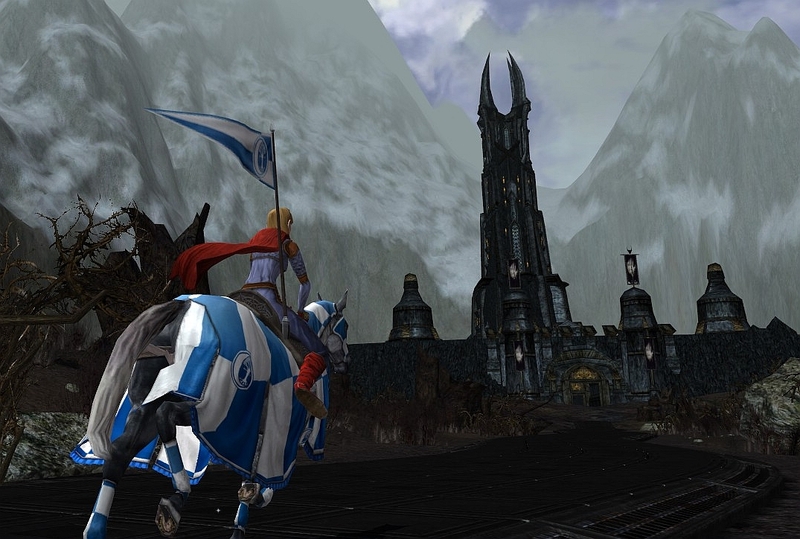 Storming the gates of Isengard! My aware-they-exist-and-currently-so-far-unlikely-as-to-not-make-the-list: Galadhrim war steed (Dol Guldur deeds), Ost Dunhoth war steed (Ost Dunhoth deeds), Horse of many colors (Isengard deeds), Treasure laden steed and Cave-claw masked steed (treasure hunt), Perlino PAX steed (2012 PAX), Red Painted Steed (random loot box), Mahogany Bay and The People's Courser (Rank 9 and Rank 12 Moors steeds), Ale Association goat (AA isn't very nice, and I went with the Inn League). Don't forget the Champion Steed, Zahrah (Buchandor's trusty Champion) won it today. I (on Liriodendron) hated doing the Ale Association quests but persevered and got the Ale Goat. 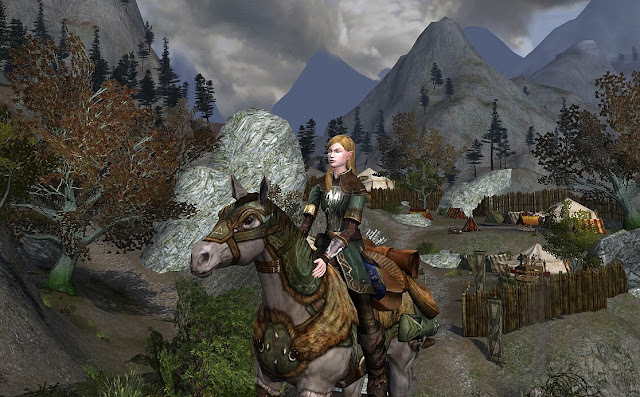 I am glad because I found Kipton gets drunk while riding the Inn League Horse but Lirio doesn't get drunk riding around the Ale Goat and it goes in Moria where the Inn League does not. The Nimble Black Goat is pretty slick, not anywhere near getting her but one day. Assmunahi will definitely join you with the Savior of Lothlorien deeds whenever you want. With past experience as a guide, I assume I will not win. "Save Turbine points; Buy Champion Steed when it arrives in lotro store." Amazing as always my friend. You take the prettiest pictures. We need to hit the moors together soon, as those steeds are on my list too! Yay MW! Thanks for the reply! Having a blast at the Anniversary party, trying to get more horses, wrapping up a few Deeds, then I will be ready to return to the Moors! (though Rank 9 for steed is a loooong way off, hehe).